This year marks the fourteenth anniversary of the 9/11 terrorist attacks that killed 2,996 people and thrust our great nation into war. As we take a moment to remember that day and those victims, we must also take a moment to remember the Fallen Heroes who died defending our nation in combat following that fateful day. In honor of those Fallen Heroes killed post 9/11 Operation Stand Down RI is announcing its upcoming “Boots on The Ground For Heroes Memorial” where a boot with a name placard for each individual killed in action will be placed on the ground of Roger Williams Park (near the Temple to Music) in Providence on Memorial Day Weekend of 2016. 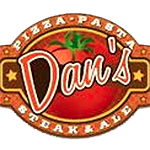 On Saturday, May 28th at 11 a.m. a formal memorial service will be held with keynote speaker retired Sergeant Major Todd Parisi. 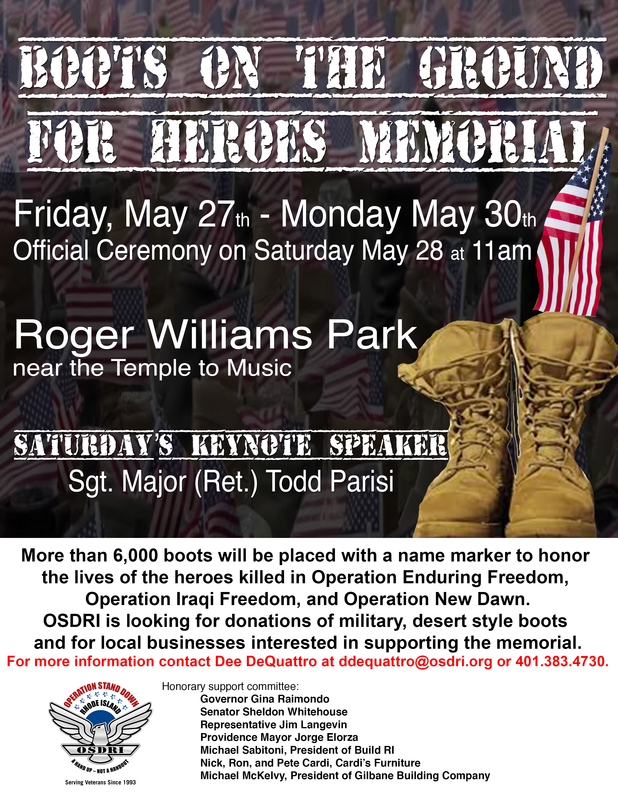 The memorial will involve approximately 6,844 boots marking each of the lives lost in Operation Enduring Freedom, Operation Iraqi Freedom, and Operation New Dawn. (See attached flyers and images). 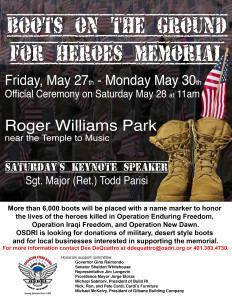 In order to put this memorial together, OSDRI is currently seeking donations of military desert style boots. 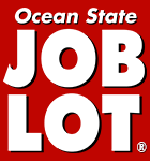 Those interested in donating boots are asked to mail them to or drop them off to any OSDRI office between 8:30 a.m. and 4 p.m., Monday – Friday.